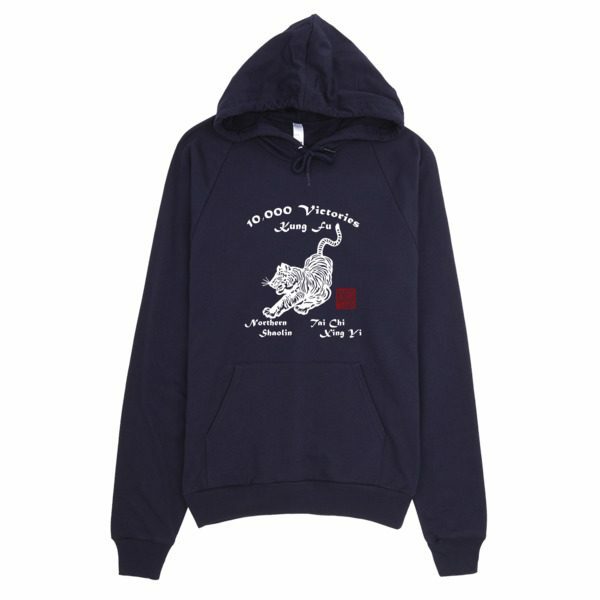 Be Awesome in the cold and windy fog with your 10,000 Victories Hoodie! This American Apparel hoodie is made out of California fleece which, opposed to typical synthetic fleece, is made of 100% extra soft ring-spun combed cotton. It’s pre-washed to minimize shrinkage, and is breathable yet extra thick for warmth.